Was there anything that could have been done to prevent the devastation to Toowoomba, the Locker Valley and Brisbane from last week's flood. David Donovan asks some tough questions. 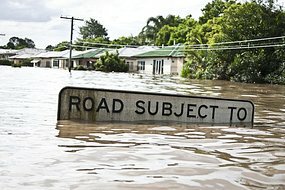 THE Queensland floods have taken at least 20 lives, and may turn out to be one of the most expensive disasters ever to befall this country. Despite the devastation, there have been heart-warming displays of community spirit and camaraderie, especially in Brisbane. As people mop up and try to get their lives back on track, most have deliberately avoided seeking to attach any blame for these unfortunate events. However, painful as it may be, we owe it to future generations to ask questions now to try to find out whether anything could have been done to minimise the tragedy. Only by doing this may we be able to prevent similar sad scenes in the future. Firstly, we need to ask why the people in Toowoomba and Grantham had absolutely no-warning that an “inland tsunami” up to 8m high was on its way, heading in its direction. It seems incredible that there was no warning since the water flows throughout the entire state of Queensland are meticulously mapped. The Queensland Department of Environment and Resource Management has detailed information on streams and aquifiers dataflow from hundreds of water-flow monitoring stations spread throughout the state. Allied to this, the Bureau of Meteorology collects rainfall data from thousands of volunteers who agree to provide data daily to the Bureau. All this information should be subject to detailed and sophisticated computer modelling. 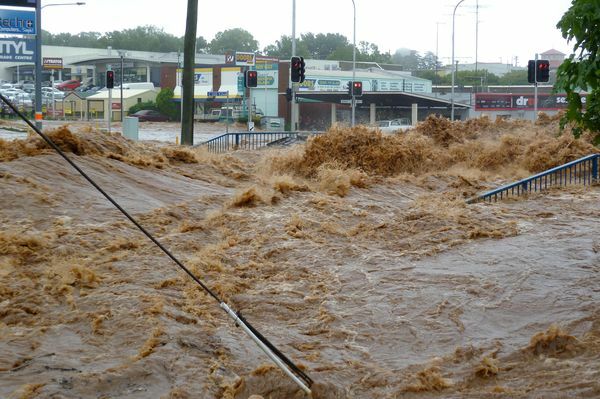 So, how was it that Queensland Government experts – hydrologists and water engineers – were not able to collate this information to predict the flash flooding? It is known that the ground was saturated from months of heavy storms, such that no water was soaking into the ground, but simply running off into catchments. Furthermore, it had been raining heavily for several days, unusually heavily on the day in question. It should have been no surprise to anyone – let alone the experts – that floods were likely at any time. The quantity of water through Toowoomba indicates that somewhere above the town a mass of water had broken its banks. Engineers must have known that the drains underneath Herries Street in Toowoomba could not cope with the quantity of water likely to be on its way at any time. So, why weren’t the streets of Toowoomba evacuated? If the experts were taken by surprise, like the rest of us, this indicates that either their modelling was insufficiently detailed and sophisticated, or they were not sufficiently attentive to the developing situation. Either way, improvements must be made somewhere in the technology or the systems and processes such that in similar situations a flash flooding early warning system – similar to the South Pacific tsunami early warning system – is able to be engaged early enough such that those endangered are able to reach safety. The second issue is the complete destruction of Grantham in the Lockyer Valley, which also unfortunately saw most of the lives lost in this widespread disaster. Now, there are well known paths of water down into the Lockyer Valley. Therefore, how could it be that no Grantham residents were warned that death was on its way when the flash flood struck Toowoomba an hour or two before? With only 400 residents, the local policeman could surely have alerted the whole town in next to no time. If the residents had even half an hour lead time that may have been enough to get many of them to safety. Experts surely must have known that the town was in the path of potential devastation like this for years. And if they didn’t know, then why didn't they? Survivors and families of victims from this town – which has been torn up root and branch – will be grimly awaiting the findings of the Commission of Inquiry announced by Anna Bligh today to investigate just these sorts of issues. The mistake that seems to have been made was in all parties assuming that the 1974 flood was a ‘once in a century’ event. This is illogical given Brisbane has in fact been inundated by five severe floods in the last 150 years: 1864, 1893, 1897, 1974 and now 2011. Indeed, the 1974 flood now looks to have been, at 77 years since the previous drenching, long overdue. Don't forget, the 1897 flood was preceded by another severe flood just 4 years before in 1893. Makes you think—there may be another flood coming sooner than we expect. In truth, there probably should not be any houses built on flood plains at all, but instead they should be covered in parks and sporting grounds. But this would mean that the Government would have to reclaim all the houses that were badly affected by the recent floods. Given the Queensland Government’s credit rating and the fact the Federal Government has spent all the surplus, you can be assured that this won’t be happening in the near future. However, a plan could be put in place to achieve this end over many years. The floods were terrifying, the clean-up has been disgusting, the community spirit shown astounding and uplifting. But as the hard questions begin to be asked and some painful answers received, it will be many people’s livelihoods and professional reputations that may be the final victims of the Great Flood of 2011. 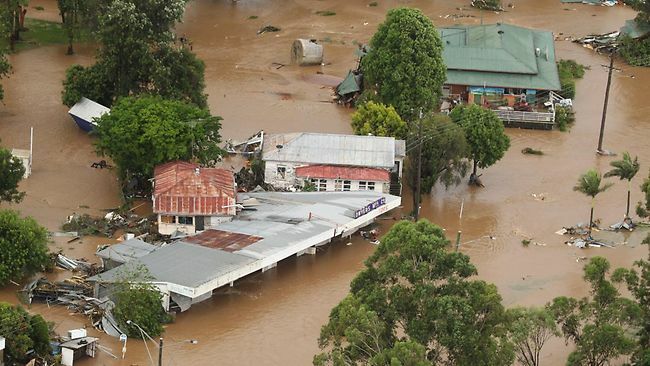 At the end of it all, though, perhaps a plan will be put in place to ensure that when the floods hit Queensland next time, as they surely will, people won’t be losing their treasures or their lives.